Do you need your rings resized? 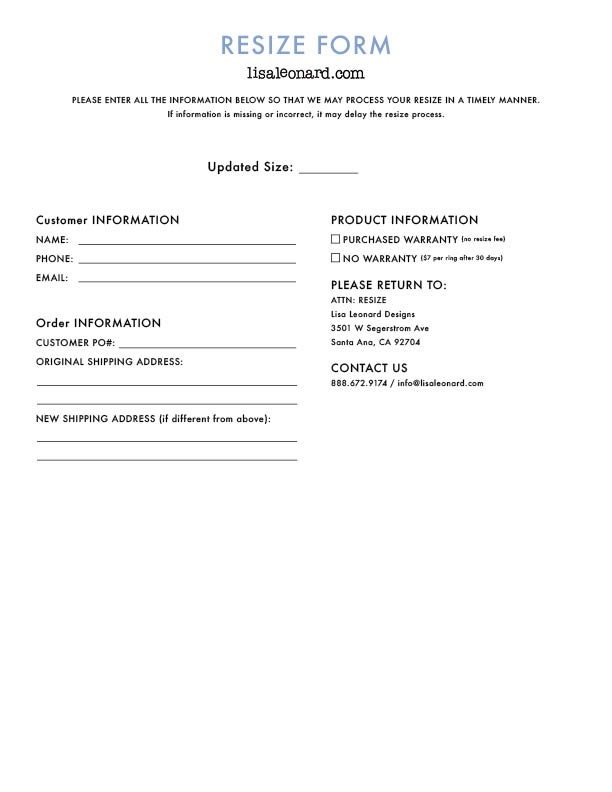 Click here to download the resize form. Returning an item for credit or a refund? 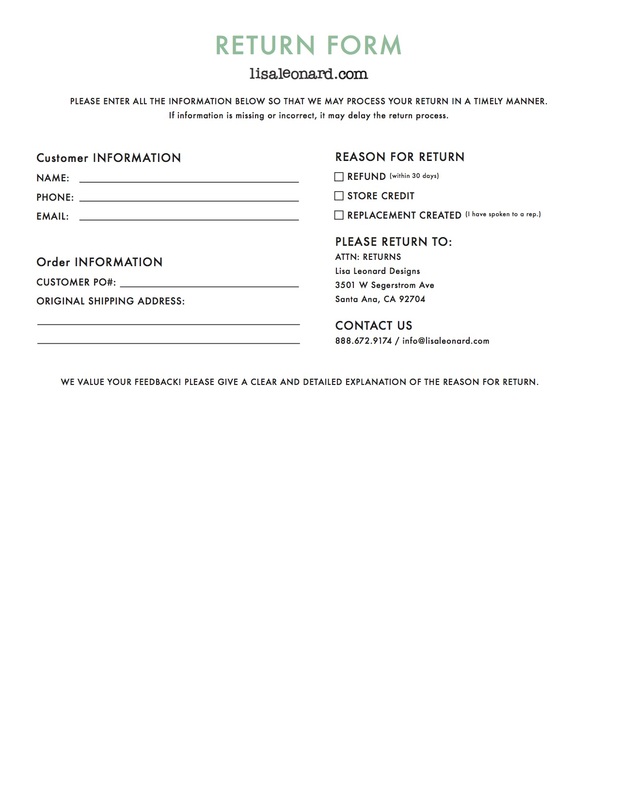 Click here to download the return form. It is important to us that you love your order! if it is not quite what you expected, we are happy to return it for a different item, or issue a full refund within 30 days of the ship date. Your return must be in its original condition and undamaged. If an error occurs on our end, we will remake the piece free of charge or issue a refund. I found a piece that is almost what I am looking for, but would like to request a minor change. Can you do it? All customization options and prices are listed on each product page. We are not able to accommodate additional design or customization requests such as stamping a name on a non-customized piece, adding more customization than is allotted in the field, offering a different length chain than what is in the dropdown, or adding an additional stone or a different type of stone. Can I add a name or a stone to an existing piece? Our pieces are made to order and cannot be added to or updated once an order is placed. We work as hard as we can to ship your piece quickly without sacrificing quality. Each piece is handmade and can take up to 14 business days to produce. When your order is shipped, you will receive a confirmation email with tracking info. I need my order rushed, can you help? We cannot rush our production time, but we do offer expedited shipping options most of the time. For additional FAQs, click here.